The Association shall have seven (7) classes of memberships. Privileges of an Adult Single, Adult Dual, Family, Junior Single, Junior Multiple, Lifetime Adult Single and Lifetime Adult Dual Memberships: Adult members of the Association are entitled to attend, speak during open forum and vote at the membership meetings of the Association. Memberships shall be based on one Adult membership one vote. In addition, members in good standing shall be kept informed of the activities, and be notified of all membership meetings, have annual reports and up-to-date Bylaws made available to them by contacting the Treasurer and/or Secretary. Junior memberships do not include the right to vote or speak at meetings. Upon reaching the age of 18, a Junior member may apply for an Adult membership if they wish to have a vote and run for office in the Association. Upon turning 21, Junior members must sign up for membership as an Adult. Active Member is one who owns or breeds the North American BABYDOLL Southdown Sheep or pet owners, wool fanciers and youth, or person interested in supporting the Association. These persons may become an active member in NABSSAR by making application and paying membership fees. Adult Single Member: Any person over the age of 18. The cost is $20.00 for the entire year. An Adult Single member has one (1) vote in the Association. The Adult Single will have their own membership number and only their name will appear on the Certificate of Registry issued for their sheep. They "own" the sheep and any lambs born. Adult Dual: Any two domestic partners over the age of 18 (this is not for business partners unless the business partner is the domestic partner). The cost is $30.00 for the year. The Adult Dual members each get one (1) vote, for a total of two (2), in the Association. Both members will have the same membership number and they will both be listed on the Certificate of Registry issued for their sheep. Both members "own" the sheep and any lambs born. Family: One or two domestic partners over the age of 18 (this is not for business partners unless the business partner is the domestic partner). The cost is $30.00 for the year. In addition, any number of Junior family members can be added to this membership for an additional $5.00 per Junior each year. This membership allows one (1) vote per adult, with a maximum of two (2) votes in the Association. All Family members will have the same membership number and they will all be listed on the Certificate of Registry issued for their sheep. All members "own" the sheep and any lambs born. Junior Single: One Junior under the age of 21*. The cost is $15.00 for the year. The Junior member is not allowed to vote or hold office in the Association. The Junior will have their own membership number and only their name will appear on the Certificate of Registry issued for their sheep and any lambs born. Junior Multiple: Two or more Juniors from the same family under the age of 21*. The cost is $15.00 per Junior for the year. The Junior members are not allowed to vote or hold office in the Association. All of the Junior Multiple members will have the same membership number and they will all be listed on the Certificate of Registry issued for their sheep. All of the members "own" the sheep and any lambs born. *Upon reaching the age of 18, a Junior member may apply for an Adult membership if they wish to have a vote and run for office in the Association. Upon turning 21, Junior members must apply for membership as an Adult. What is an agriculture-learning environment? Any person(s) under the age of 21 participating in 4H, FFA, AG Program, College Ag Studies, or a working farm. The Board shall set Annual membership fees for the above-established classes of memberships. Each applicant shall apply on a form approved by the Board of Directors. By the signing of the application, the applicant agrees to abide by the Bylaws, Articles of Incorporation and the Code of Ethics of NABSSAR. No other member category may be added to these articles or changes made to requirements or qualification unless 2/3rds majority of the Board approve. The Board may increase the fees for membership dues, registration or transfers to meet administration expenses. Membership dues shall be payable on or before the first day of January of each year. A grace period of 30 days will be in effect; however, any fees after such time shall be considered late and a reactivation fee of $5.00 shall apply along with normal fees for memberships. Members not up-to-date on membership dues may not cast a vote in a general election. Termination of membership may also occur for failure to abide by the Bylaws. Termination of a membership for violation of Bylaws or Code of Ethics requires 2/3rds vote of the active members. However, the Board may suspend a membership or registration due to violation of Bylaws or Code of Ethics for a period not more then (6) six months, thereafter, to continue the suspension the Association shall put the continuation of suspension to a members vote. We may accept donations or contributions for distributing as an agriculture scholarship. The North American Babydoll Southdown Sheep Association and Registry (NABSSAR) offers one (1) $1000.00 USD scholarship to a junior NABSSAR member each year to encourage participation in Babydoll Southdown sheep activities and to encourage them to pursue a higher education in a science or livestock related career after high school. Scholarship funds may be used towards the student’s tuition, books, and/or room and board. Scholarship recipients are not restricted from pursuing or accepting other forms of financial aid, assistantship, scholarships or tuition waiver. The applicant must be a NABSSAR junior member & must receive at least a 2.5 GPA (grade point average) during the senior year in High School or previous year of college whichever is more current. Applicants must be accepted for enrollment at an accredited college, university, community college or technical school by June 1st of each calendar year. Their academic major must be agricultural or be potentially agriculture science related. The applicant must answer all of the questions on the application. The applicant must submit a short typed essay not exceeding one (1) page addressing the following: Describe what your experiences as a Babydoll Southdown owner has taught you that would help you to achieve your career goals. Include information about your participation, leadership role or volunteer work in livestock judging, 4H, FFA or other agriculture related youth groups. Include any honors or awards received through the above organizations. Your essay should include when you started with Babydoll Southdowns, the size of your flock, your management responsibilities, and how you promoted your sheep, for example - showed the sheep, used the wool, etc. The applicant must include 2 letters of reference as to your character, preferably from a teacher, a veterinarian or other animal healthcare professional. The application is a fillable .pdf. Complete and print OR print out and complete the Scholarship form located on our website. Attach a copy of your most recent transcript and your proof of enrollment. Deadline for application is June 1st and scholarship winner will be notified by August 1st of that year. A five (5)-panel committee chosen by the board will award the scholarships. Deadline for applying is June 1st of each year. Keep complete and accurate records of registered BABYDOLL Sheep, including pedigree information and dates of transactions. Provide annual report on number of sheep registered. Provide copies of registrations of each sheep or transfer upon request to the Board. Report annually on fees received, spent and transferred to the Treasurer. 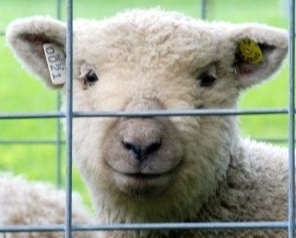 Submit to the Open Registry Committee requests for registering non-registered sheep or questionable registrations before the granting of registration. This may include sheep from other registries. Provide pedigrees to sheep owners at the Board set price. Transfer within thirty (30) days, all records, copies, and accounts to a newly selected Registrar or the Board upon request of the Board. The Board may opt to compensate the Registrar for time per registration completed. The Association may use outside sources or businesses to maintain registry and membership roles. All applications from another BABYDOLL sheep registry must go through the Open Registry Standards Committee for review before proceeding to the Registrar. 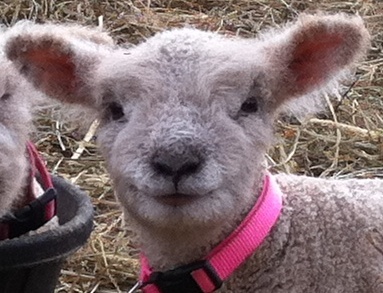 To receive all applications for sheep or lamb registration. It is understood that the animal in question must meet the Breed Standard as outlined in the NABSSAR HANDBOOK. To view, and either accept or decline each application on the basis of the Breed Standard for registration. To forward to registrar all eligible applicants.